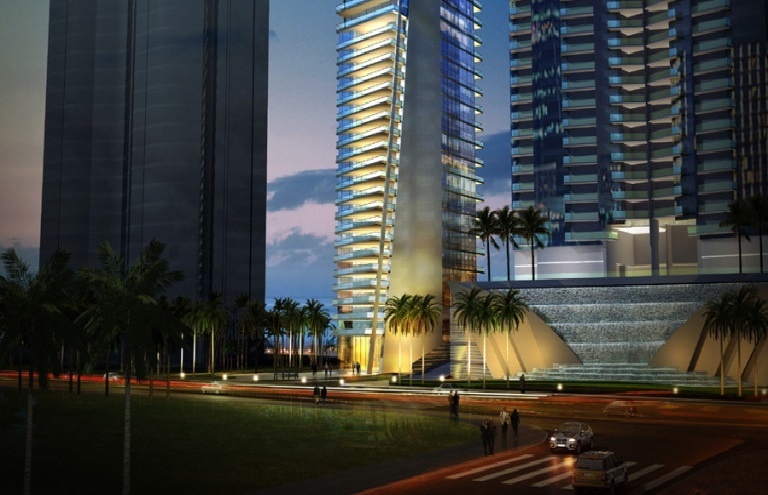 MUSE Condominium in Sunny Isles, Miami Beach. 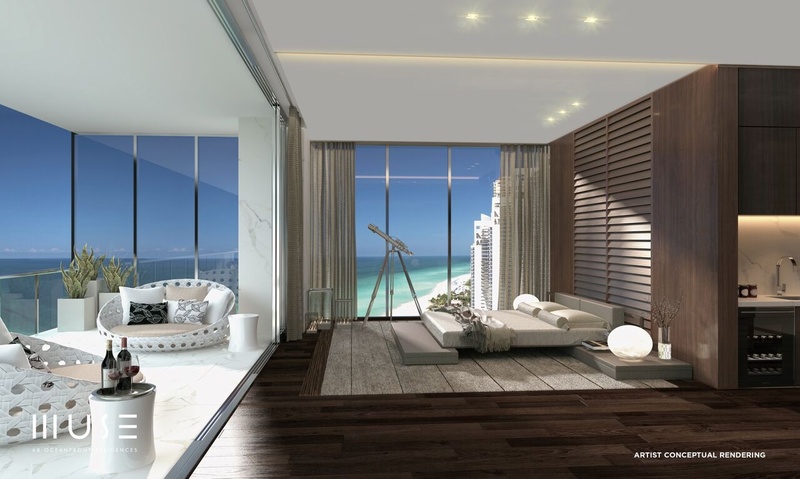 NEW construction oceanfront luxury condos at The MUSE Miami Condo in Sunny Isles, Miami Beach. 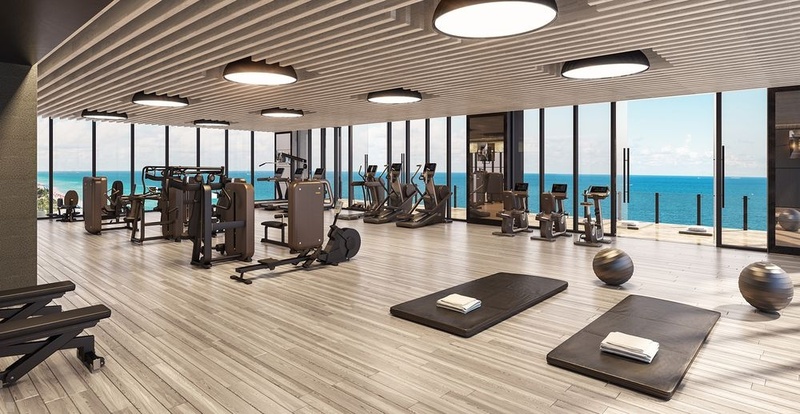 New MUSE Sunny Isles Beach Condominium - Completed in early 2018 and officially opened in June 2018 on the ocean in Sunny Isles Beach - The MUSE Miami condominium designed by world-renowned architect Carlos Ott. 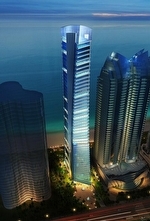 The 49-story slightly twisting 649 foot high luxury condominium tower will match the height of other recent new construction luxury Sunny Isles Beach condominium towers - Porsche Design Tower , Jade Signature and the Mansions at Acqualina, three other new luxury condo projects on the ocean in Sunny Isles Beach. 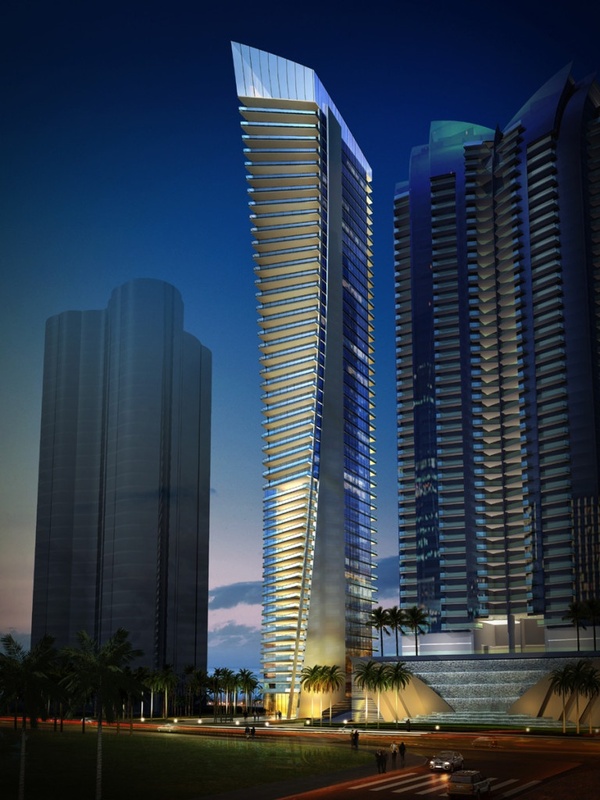 Each of these four luxury condominium towers reach the maximum height for the area as allowed by the FAA. 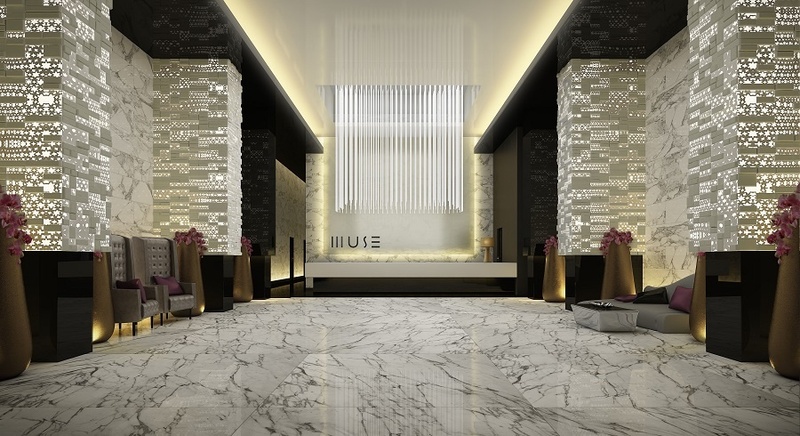 Despite it's high-rise 49-story height, the MUSE condominium is still described as a "boutique-styled" building by many, as it offers only 68 half-floor and full-floor luxury residences with the highest levels of amenities and services provided to it's residents. 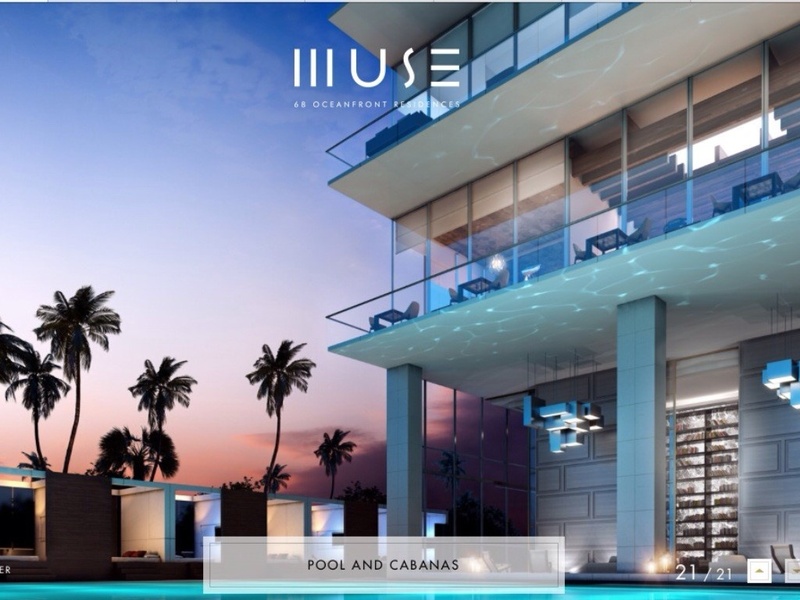 The MUSE Miami condos spacious residences offered begin with 2,360 square feet 2-bedroom residences up to 5-bedroom floor plans of 5,800 square feet, with only 2 residences on a single floor. 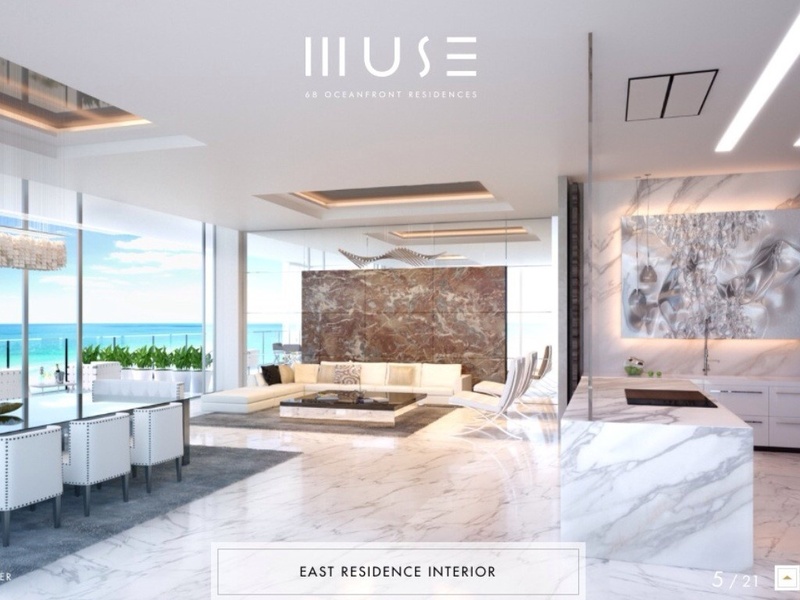 All of the MUSE condominium residences will be offered as either eastern side direct oceanfront or western side residences except for the two top floor penthouse homes which will each be a full floor residence. 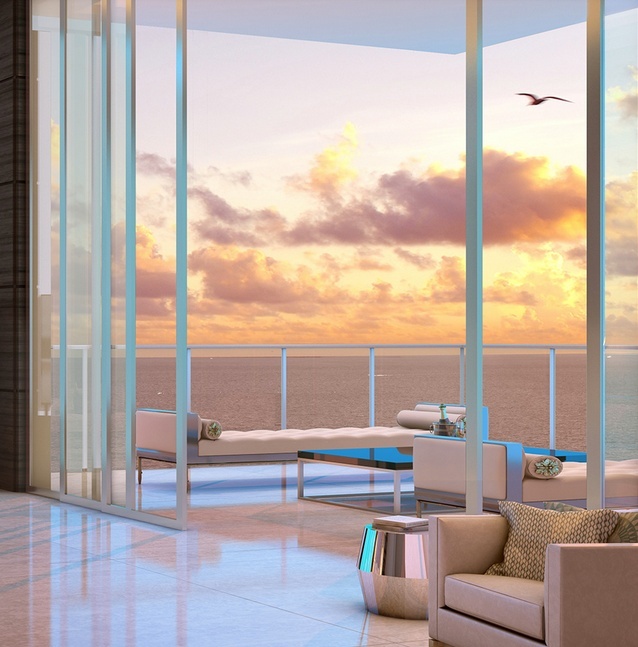 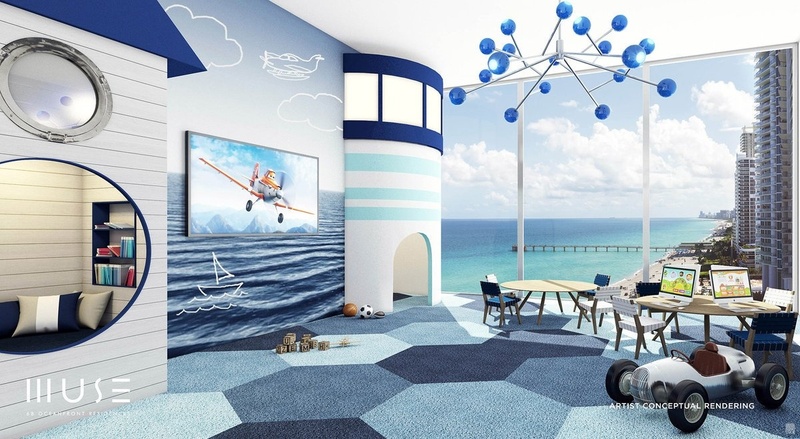 All residences will offer ocean and bay / sunset views. 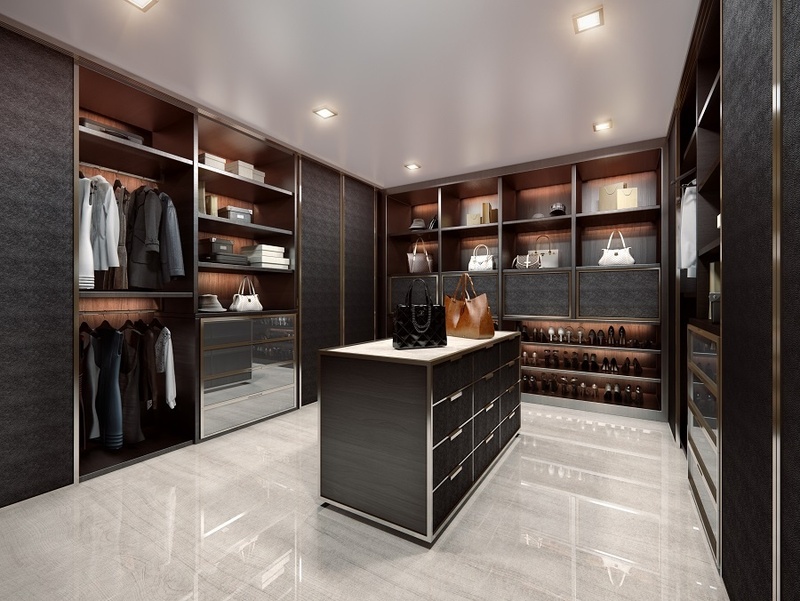 Another new residence feature of this new construction is that all residences are delivered fully finished and furniture ready, which saves many owners month's of interior decoration time as happens with many other new construction condominium properties. 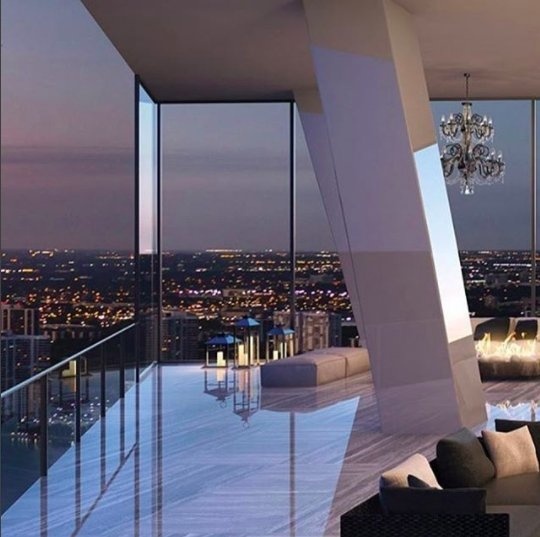 The top 2 floors will feature just two full floor luxury penthouse homes with 5 bedrooms, 4 1/2 baths, a den and service suite totaling approximately 5,995 square feet under air each. 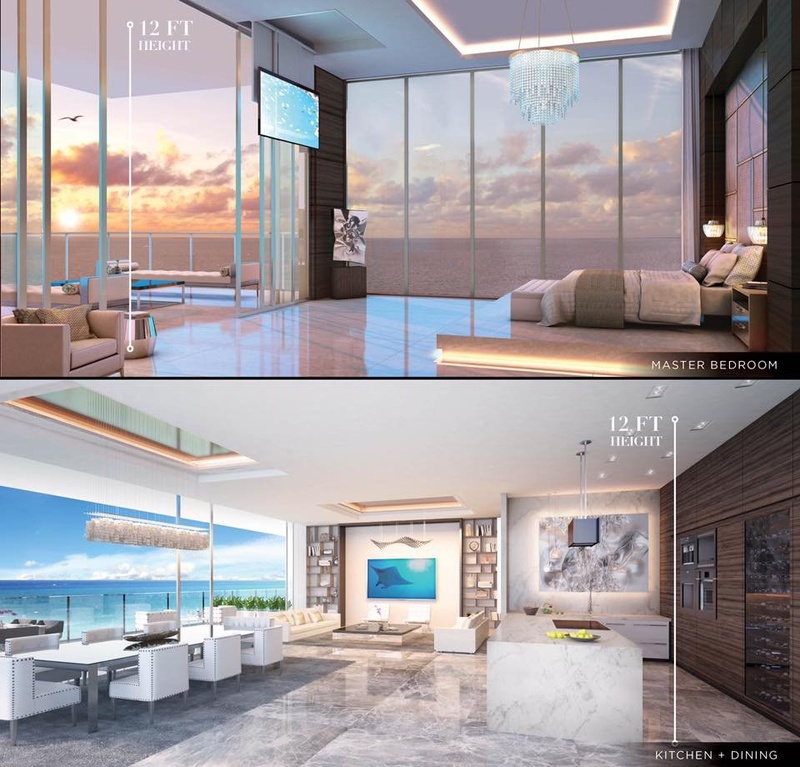 These select penthouse homes will offer breathtaking 360 degree panoramic views from their floor to ceiling glass and from the large oceanfront balcony and the 2nd oversized western balcony. 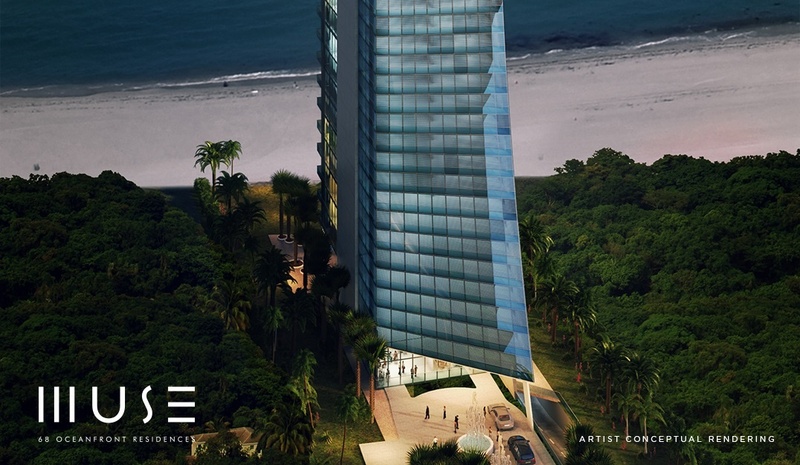 View a video virtual tour of the MUSE Condominium at the bottom of this page. 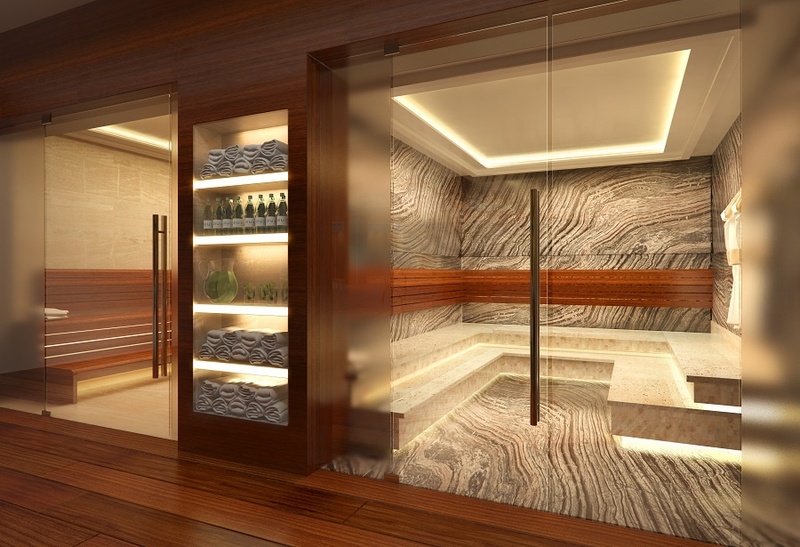 An additional new video has been added to the MUSE video collection - View this video on my MUSE Amenities section. 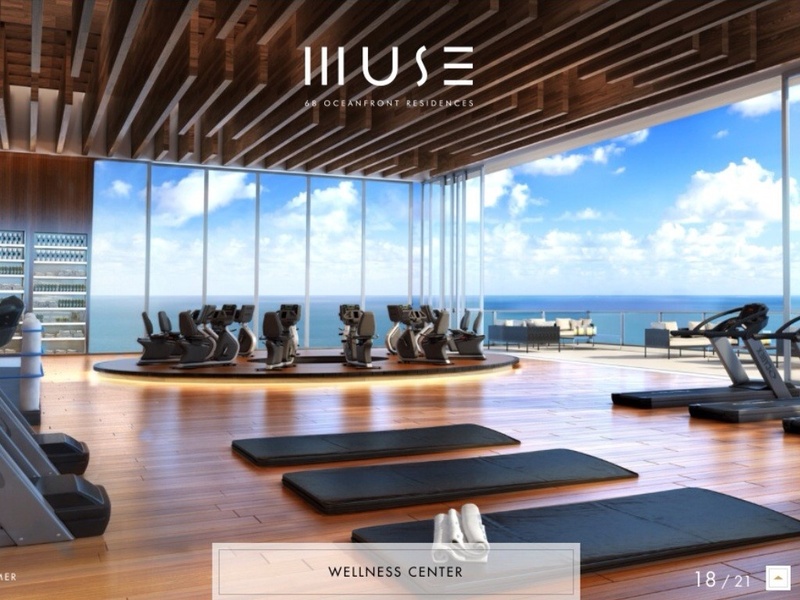 The MUSE condominium residence prices were originally announced by the developers at starting at approximately $2 million*. 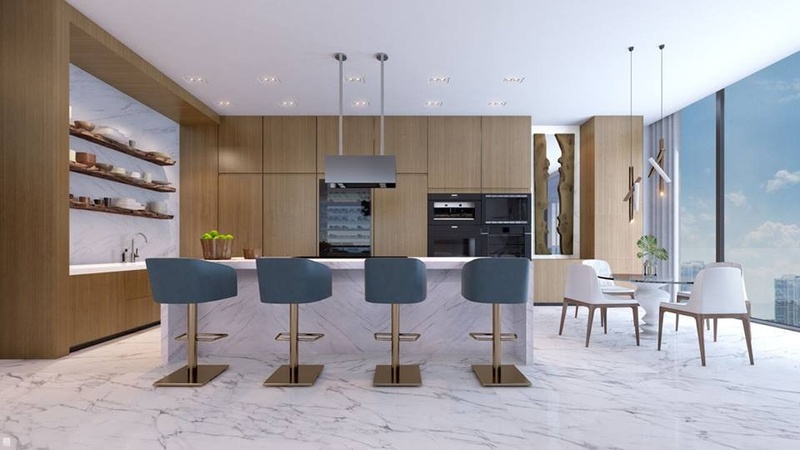 Average price per square foot in first offerings were over $1,200* per square foot for the lower floors, a $1,400* average price for most mid-floor residences and up to $2,000* per square foot for upper floor and larger residences and the 2 top full floor penthouse homes. 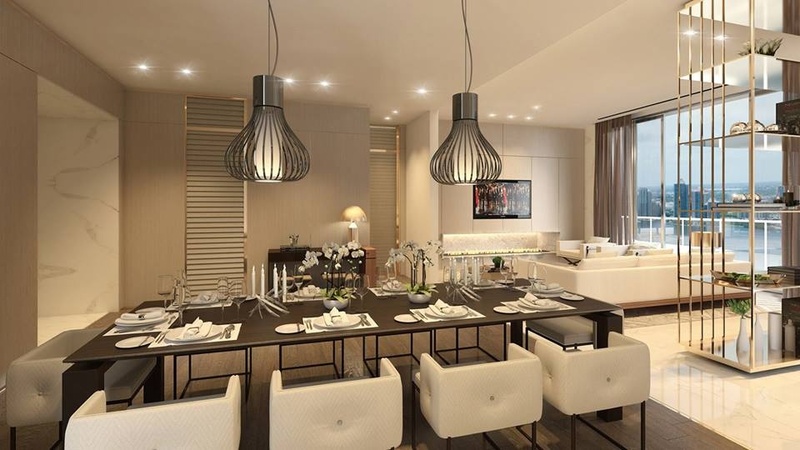 • East Residence A (East) | 3 Bedroom + Den/Media Room | 3,635 sq.ft. 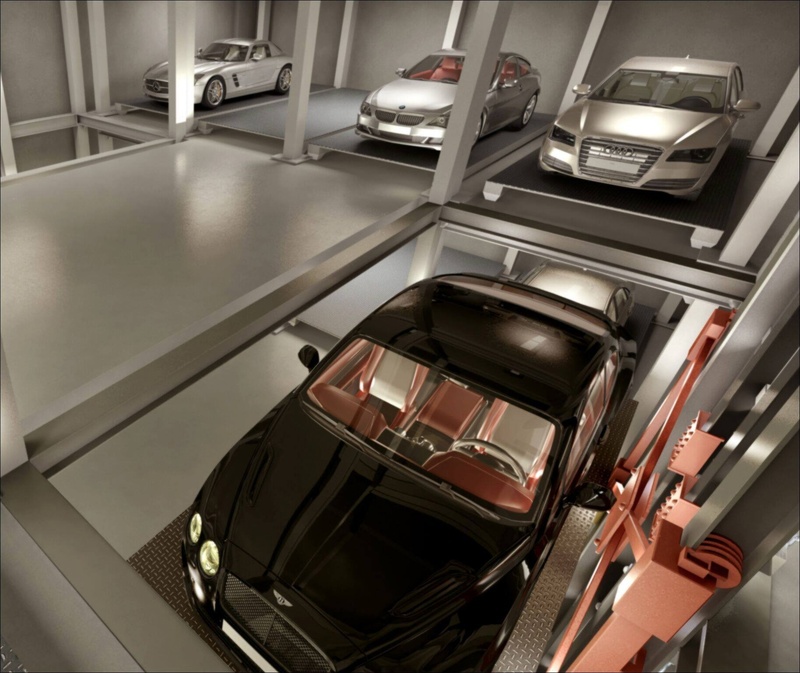 under air | 60' x 12' deep terrace = 720 sq. 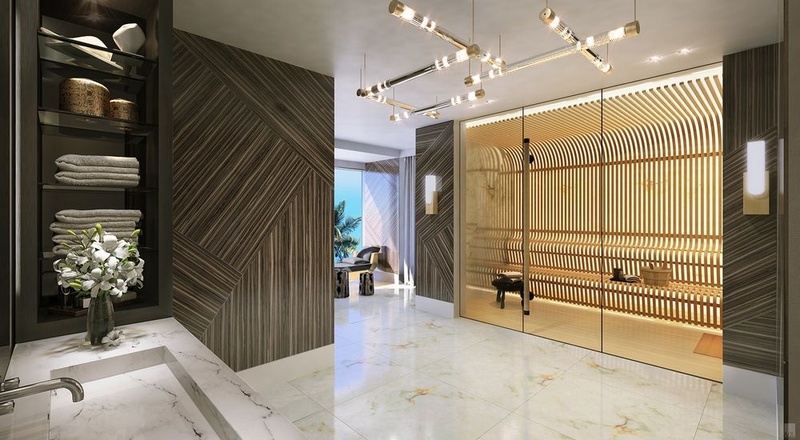 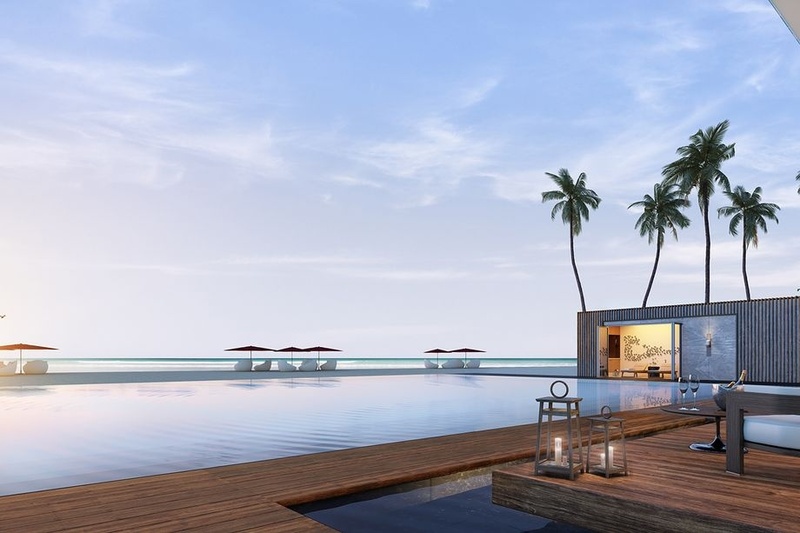 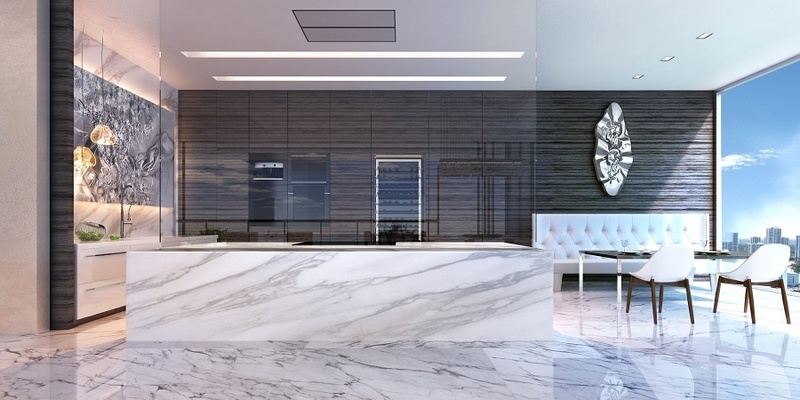 ft.
Property Markets Group (PMG) with co-developer S2 Development have teamed with the world-renowned architect, Carlos Ott and the Miami based firm of Sieger Suarez Architectural Partnership to create this one-of-a-kind structure. 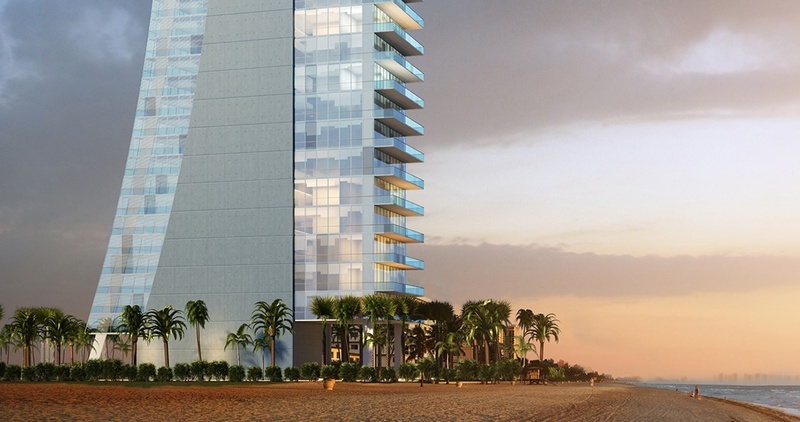 The unique design shows this luxury tower as an elegant svelte tower that twists slightly as it rises, with full length (60' foot long) large oceanfront or bay view balconies that maximize the ocean and bay views. 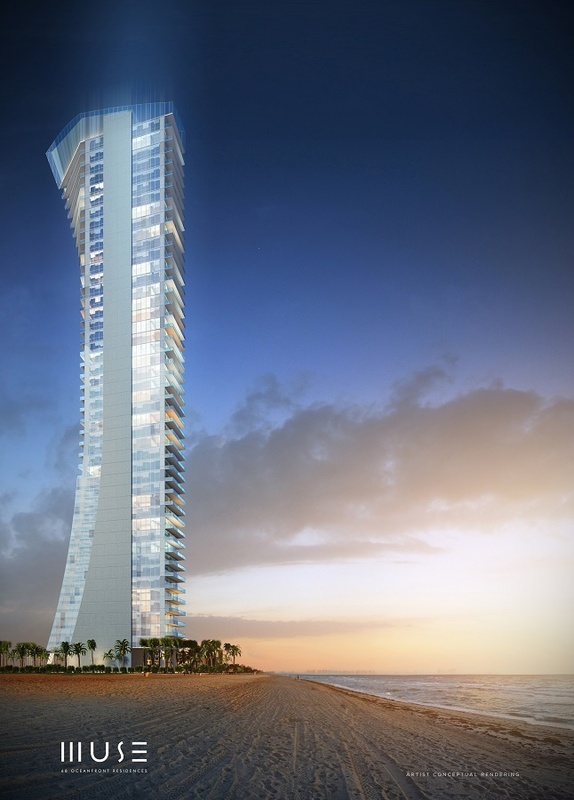 The twist of the tower is accentuated by the extension and angles of the exterior and balconies as the tower ascends. 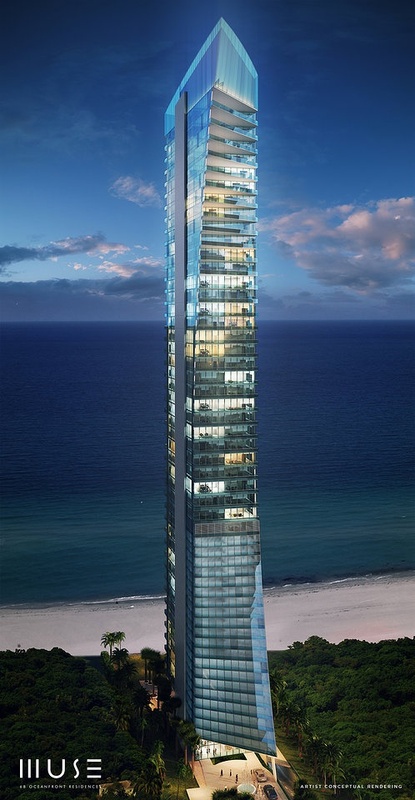 Views from each floor will vary slightly from any other floor due to their unique position in the sculpted exterior angle of the building for each floors residence. 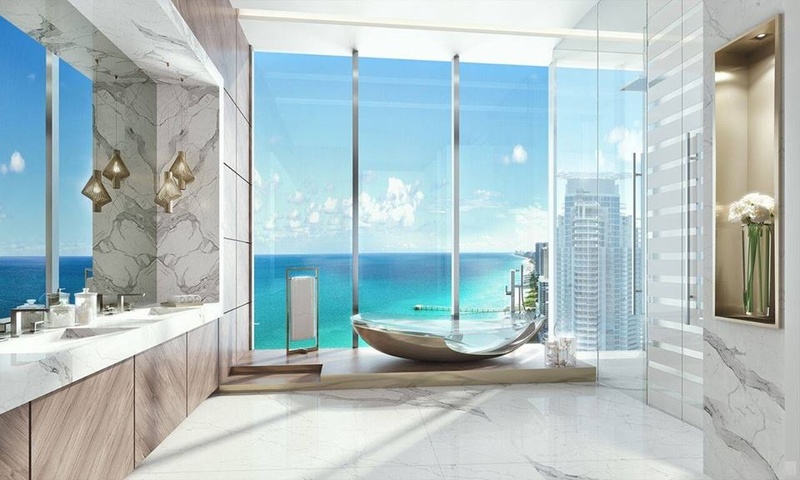 Views of the ocean and bay from any floor will of course be beautiful, with higher floor residences offering some of the finest views available in this area of Greater Miami Beach. 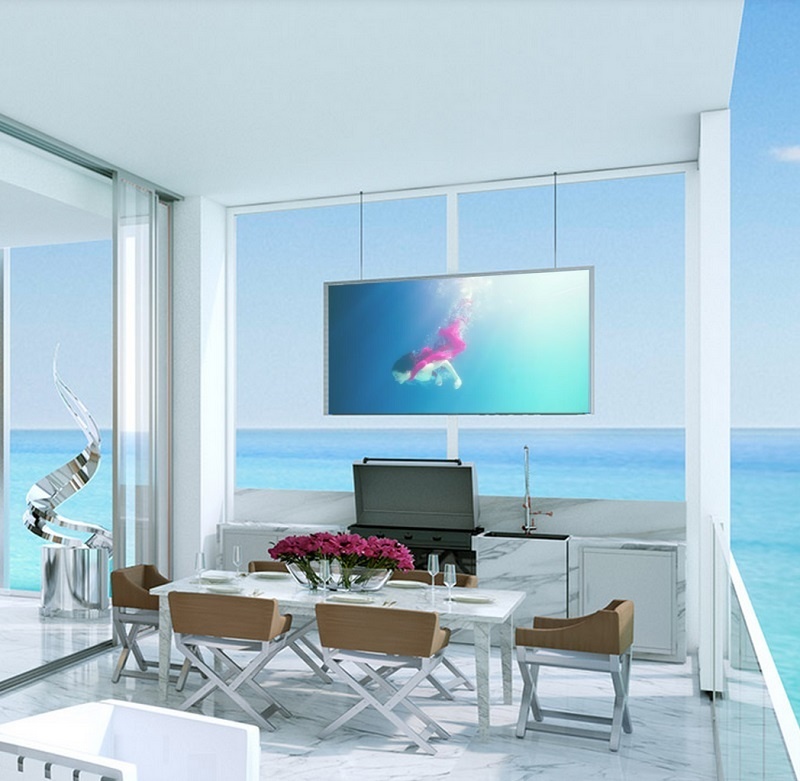 Contact me directly for more information and reservation details on this newest addition to the truly unique luxury condominium properties gracing the white sand beaches of Sunny Isles, Miami Beach. 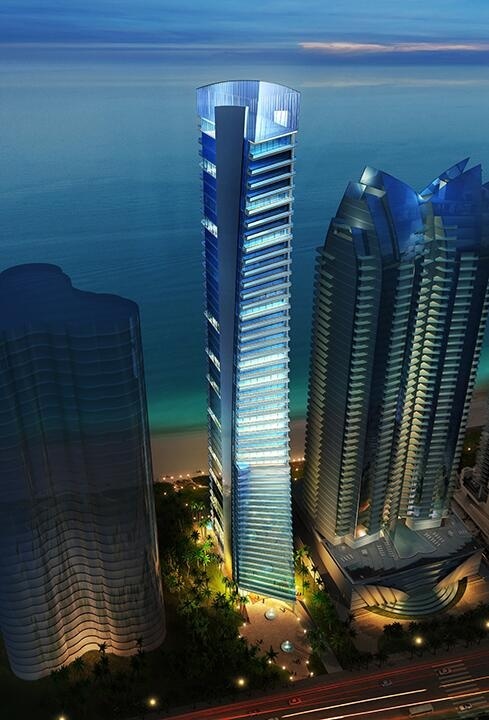 Shown below - The developer has released a few of their penthouse homes onto the public MLS (which are shown below). 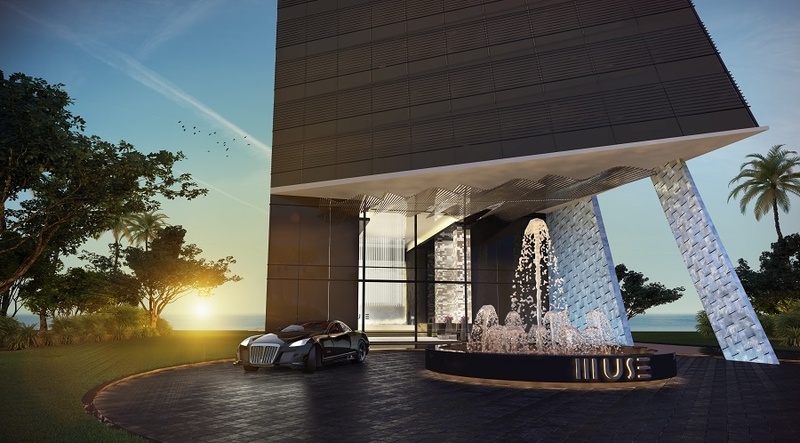 Additional developer residences may be available, please contact Linda "G" directly for the most up-to-date list of all available MUSE condominium residences for sale. 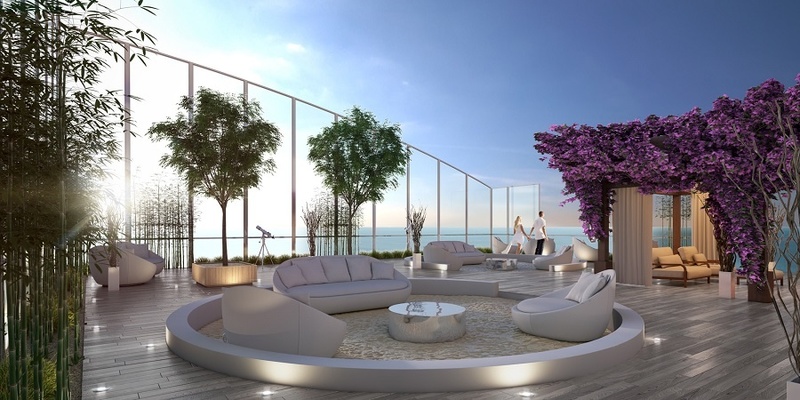 2,360 square feet under air with balconies increasing in size as the residences rise towards the upper floors. 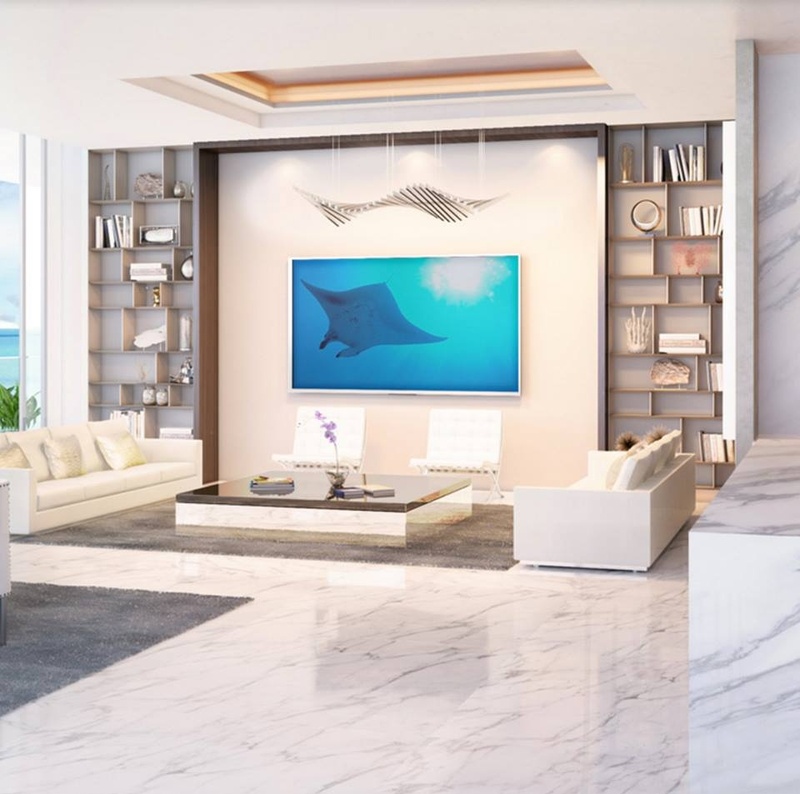 Feel free to contact me directly with any questions you may have about this very unique new luxury condominium property on the ocean in Sunny Isles, Miami Beach. 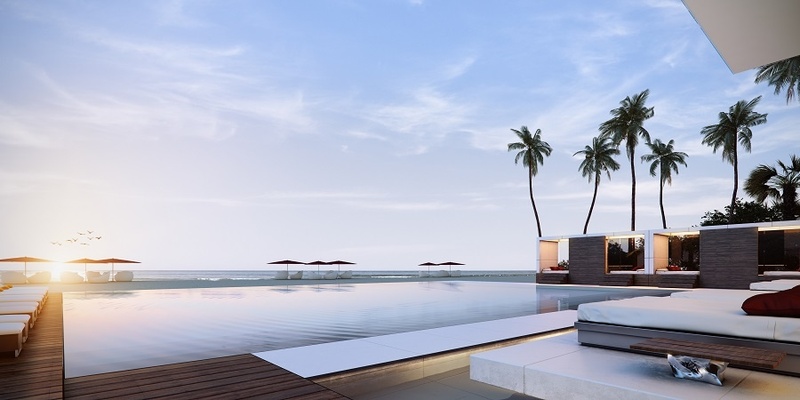 Reservations and sales have already begun and a few select residences have already been reserved.